Hayat Tahrir al-Sham Boosts Its Presence In Idlib Demilitarized Zone Retaking Positions From Turkish-backed Militants 5 out of 5 based on 2 ratings. 2 user reviews. As it has been noted by multiple experts, the Idlib demilitarized zone agreement itself is not enough to put an end to violence in the northwestern part of Syria. The Turkish Armed Forces (TAF) and Turkish-backed militant groups have done nothing to eliminate Hayat Tahrir al-Sham (formerly Jabhat al-Nusra, the Syrian branch of al-Qaeda) in Idlib. So, Hayat Tahrir al-Sham is now working to boost its presence in the “demilitarized zone”. Recently, Hayat Tahrir al-Sham captured the village of Zayzun and several nearby points in western Hama from the Turkish-backed National Front for Liberation (NLF). Zayzun is located in the demilitarized zone and is supposed to be free of radicals and heavy weapons. However, this appears to be far from the reaility. According to local sources, the NFL, without a direct TAF assistance, is not capable of preventing the further expansion of Hayat Tahrir al-Sham, which had exploited the ceasefire [started in September] to regroup and resupply own forces. Late on December 4, a car bomb exploded in the militant-held village of Atarib. Local sources link this incident to the current tensions between Hayat Tahrir al-Sham and Turkish-backed militants. Well, gee, who would have guessed ?. So…. base on the agreements russians and turks done between them have buy the time for turks to create not a demilitarization zone but to create a buffer that is between them and SAA army. Something it make the SAA attack on them very difficult task and effectively giving turkey what she already occupied for a very long time to come. So much doom and gloom but why, we don’t want any FSA of NLF rebels in the south, it’s great if HTS comes in and kicks them all out. The SAA can’t legally attack the FSA or NFL anywhere in Idlib [according to new astana agreement], but they can do what they want to HTS. How can it be bad if HTS is taking over areas that the NLF control, the SAA won’t been able to attack and take back these areas if the NFL is present, but they can if HTS is alone there. Anyone wonder how it is that 15 to 20,000 HTS are managing to beat 20,000 NFL [it was 30,000 but 10,000 have gone to Aleppo], even though the NFL has Turkish support, Tanks + artillery, sat intel, excellent supplies and maybe even air support if they really needed it, the HTS fighters have none of that, they don’t even have the same amount of support from the locals as the NFL has, but they’re still managing to take back ground in the south, it’s nearly like it’s being made easy for them, I wonder why. No I don’t, I think they’re being set up for the slaughter. I wonder what sort of casualties the NFL are suffering through all these constant losses to HTS, not too many I’ll bet. FSA, FNL, and HTS are all terrorists, and Syria-Russia-Hezboal-Iran must eliminate them, point. Russia-Turkey agreement has been good only for terrorists, and Russia mus stop playing with Turkey pseudo-peace plans. Turkey is an invader country in Syria and must go back home. I agree, russia demanded from usa for years to seperate al nusra from the rest. This way the terrorists seperate themselves…its genius! 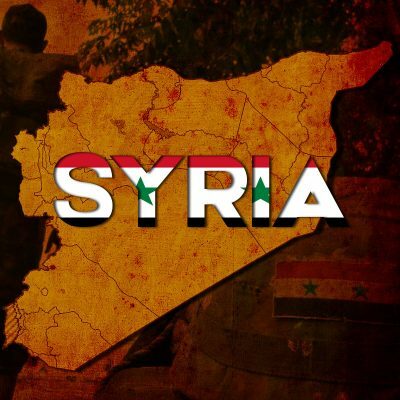 hell its working pretty gooooood….. a couple of more chemical attacks on SAA, and the deal is perfect. Really? SAA and russia now have a cassus belli to finish this off. You kids are so impatient. HTS will be destroyed soon enough, just wait. You are right about it my friend, but you might consider, a casus belli, no matter what kind of atrocities and terroristic acts committed by the factions from Idlibistan, if brought to the UN it will be dismissed by the NATO(scum) states and proxies. Finally the entire western mainstream media will do the rest of the job to frame Russia and Assad guilty. Potcracker, the agreement was fine in buying time, fine in the context of the high tensions around these days and in the perspective, creating a possibility to shift the narrative in a more favorable way. It also finally again demonstrated the missing will, or declining influence of Turkey in Idlibistan. Thats no agreement at all. It never was. Most are also made, when russians are slow producers of ammo or they cant find ancient tanks not even i Siberia. But Russians are integrating Islam. Now the Russsian Master of the house again hardly can be blamed for domestic violence and save money from the wife paying the corrupt police for it. It seemes to have stabilized the Rubel, and at least some and the police are less fat and more mobile too. I never lie.